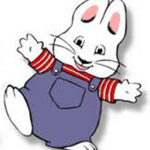 R egistration is open for the Bunny Hop 5K April 4 at Riverside Elementary. Event starts at 8 am from the school. Funds raised will support the Riverside PTO book project for students and the Emporia NEA Read to Your Bunny project. Cost is $10 for students and $20 for adults. Register by March 23 to receive a t-shirt.